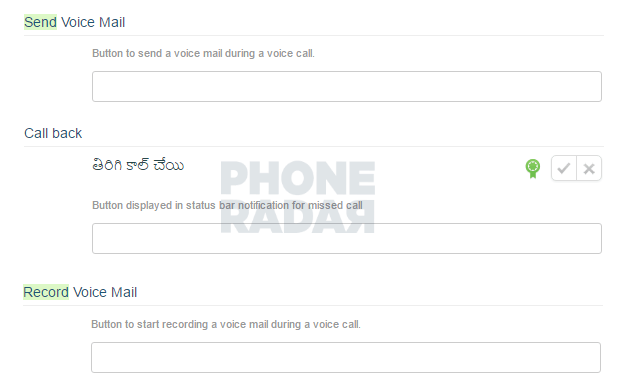 WhatsApp’s voice calling has been available for over a year now, but not much has changed in the functionality since day 1. It seems though that there’s work underway to improve it a little bit, as described in translation strings obtained by Phone Radar. Right now, when you call someone on WhatsApp and you don’t get an answer, you never really know if that’s because the other person is disconnected or because they didn’t actually pick up. There doesn’t appear to be a fix for that yet, but there’s a small bandage that WhatsApp is adding in the form of voicemail. When your contact isn’t answering, you can instantly record a voicemail, which is probably the same thing as sending a voice message but doesn’t require you to end the call, go back to the conversation, and then tap the microphone to start recording. It’s faster and more convenient.